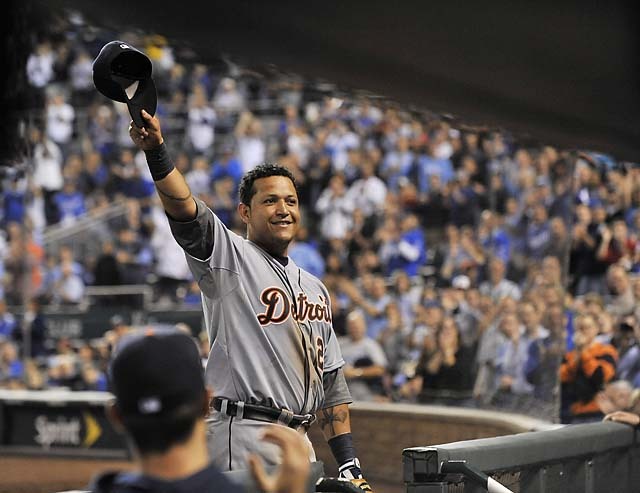 Miguel Cabrera won the Triple Crown, making him the first Major Leaguer since Carl Yazstrzemski in 1967 to accomplish the feat. (Robin Buckson/Detroit News). … Add this to your list of reasons its good not to be Arkansas interim head coach John L. Smith: His amended bankruptcy filing from Wednesday showed that Smith is $15 million further in debt than was previously reported, bringing his debt total to a cool $40 million. Expect another “Smile!” rant soon. Or just watch it now.